After a bit of a break, I'm back on the painting train, and just finished up this guy. 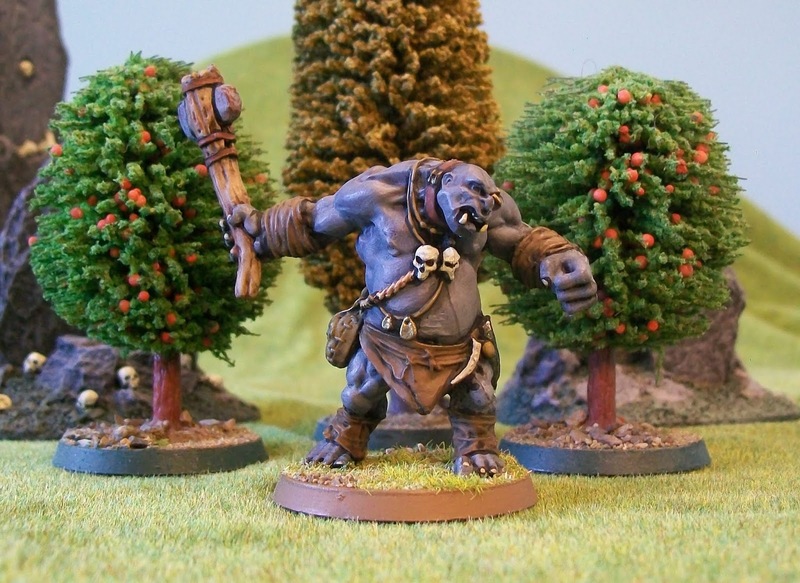 He's a Reaper Bones miniature, sculpted by Bobby Jackson. I picked him up at Adepticon this year. At $3.50 for such a large miniature, it is hard to resist. While he'll be my go-to ogre in future games, I also have plans to use him as a troll in my Middle-Earth battles as he fits my vision pretty well. Here's a shot of him towering over a Gondorian ranger! A few months ago, my friend Nick Eyre was extolling the virtues of the 1981 BBC Audio Drama adaption of The Lord of the Rings. I walked away from the conversation promising that if I ever had the chance to listen to it, I would. Well, today I was nosing around an Oxfam charity bookstore, when I found the pictured box set. It’s a rather attractive box, in really good condition. The thirteen cassette tapes inside, each containing an episode of the drama, are also in good condition. It even comes with a small, but high-quality reproduction of the map of Middle-earth, so you can follow the path of the adventure as you listen. 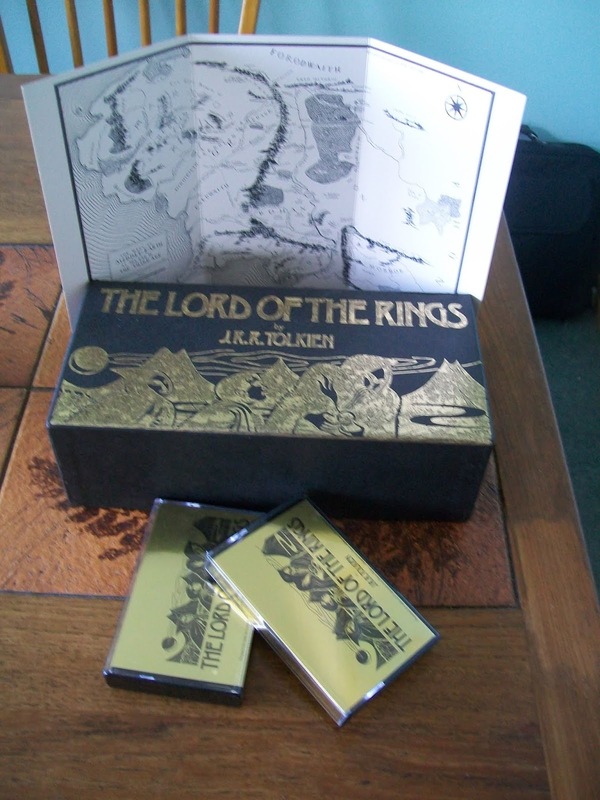 With a price tag of £10 (and much of that going to charity), it was more than my Tolkien-obsessed mind could resist. I am especially attracted to it because Ian Holm, who played Bilbo in the Peter Jackson adaptation plays Frodo in this one. I’m sure that is not a coincidence. There is only one problem… I don’t own anything that can play an audio cassette, and haven’t for at least 15 years! It’s the worst kind of purchase – something that requires another purchase to actually use! Well, I’m going to ask around of my friends and relatives to see if anyone has something I can borrow. If not, it looks like they are neither difficult, nor overly expensive, to obtain on ebay. 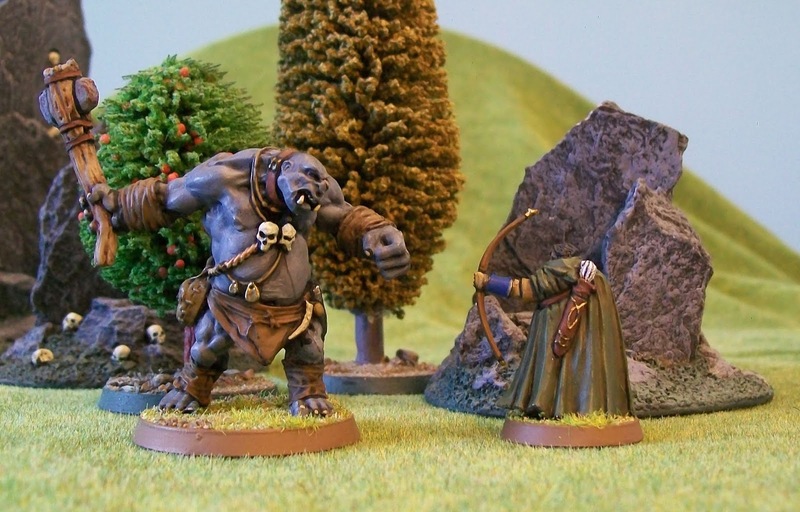 Spellcaster 3 – Print on Demand – Now Available! 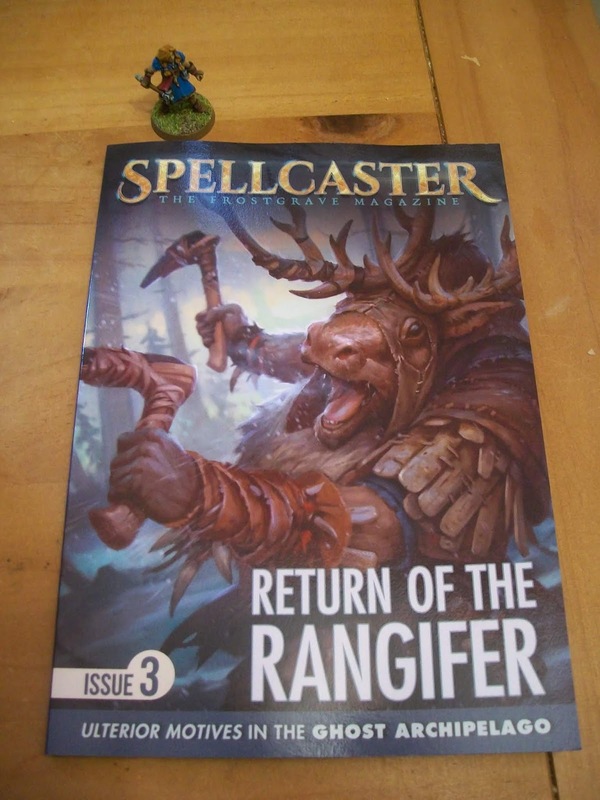 Good news for everyone who was waiting to pick up Issue 3 of Spellcaster: The Frostgrave Magazine in print format. I have just received the proofs and approved them for sale. Once again, I am seriously impressed with the quality of the printing. I especially like this issue in print because the significantly increased page count makes the magazine look like a proper little booklet. Remember, anyone buying a print copy also gets the PDF version for free, which is especially nice in this case as Ghost Archipelago players will probably want to print out the Ulterior Motives cards. The growing spine width of Spellcaster magazine!